Many people focus on search engine optimization and expect gradual improvement in search rankings to occur over time. This would make sense and is the case overall for most brands focused on SEO, but that doesn’t mean that there aren’t occasionally some bumps in the road. The factors involved in search engine rankings are numerous and can be quite complex. From algorithm changes to subtle user mistakes, finding the precise culprit that is affecting your search rankings in one way or another sometimes is like finding a needle in a haystack. Sometimes, falling search rankings have nothing to do with the quality of your content or algorithm changes. We’ll discuss three areas you should always check when you notice a drop in your rankings. Your website is only as good as the experience that it provides each user. There are many situations where your website may not be displaying specific elements to users – particularly those on mobile devices. When pinging users with these non-functional elements, you’ll definitely lose traffic due to people leaving your website without finding what they need. Additionally, and perhaps more importantly, though, is what these responsive design issues can do to your rankings. 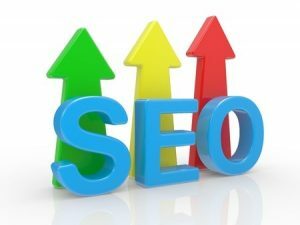 The combination of search engines detecting these issues and the bounce rate increases that come from users quickly leaving your website will tell Google, Bing and others that your site does not deserve to be ranked highly. Because of this, it is always important to access and try your website across as many devices as possible. Another common cause for a dramatic and rapid reduction of visibility in search can be your personal web hosting. What are some of the problems that web hosting can provide? For starters, a web hosting company that suddenly begins having reliability issues – server uptime, loading speeds, and more – may impact rankings due to the inability for search engines to find and index your website. If your website is unavailable too often or takes too long to load, then search engines will likewise judge you on it. Unfortunately, web hosting companies may have sudden changes in the quality of service with little to no notice. This can be a bad situation for brands and businesses, and may require a change in your hosting solution. There are many reasons why you might end up with a broken link or two after some time, but search engines view this uniformly regardless of the reason. Perhaps you have recently changed the URL structure for your site. Maybe you decided to set up a temporary redirect (instead of a permanent one). You may have even inadvertently deleted or moved a page. Whatever the reason, you should be able to narrow down the culprit based on which pages and search rankings are affected. If your website is pinging users just like it always has, then you probably don’t have an issue with any broken links or pages. Additionally, you may also want to see if any links between your pages have somehow become broken or otherwise non-functional. There are plenty of reasons why search engines might nerf your rankings. Sometimes, these issues arise within your own domains. Tell us below about how you recovered from a rankings issue!